BOYETTE RECORDS (BOYETTE RECORDS INC.) is a record label founded in 2000 by Barryton R. Peacock and was his flagship label. Artist on the label are The Path Organization, Plastic Street Productions & more. It's is now owned & operated by the TRANSMEDIA RECORD CORPORATION. In 1998, after watching how much artists got paid off royalties from sales on MTV, Barryton R. Peacock who was an recording rap artist himself & his friend Kelly who was a DJ came up with the idea to start a record label because they wanted to make sure they was going to get most or at least half off sales. Ya Art" by THE PATH (Now THE PATH ORGANIZATION). from THE PATH and PLASTIC STREET PRODUCTIONS. 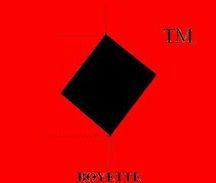 In 2010 BOYETTE RECORDS became part of the MULTIMEDIA RECORD CORPORATION (now TRANSMEDIA RECORD CORPORATION) and have now made a name for itself as top along other independent record labels.